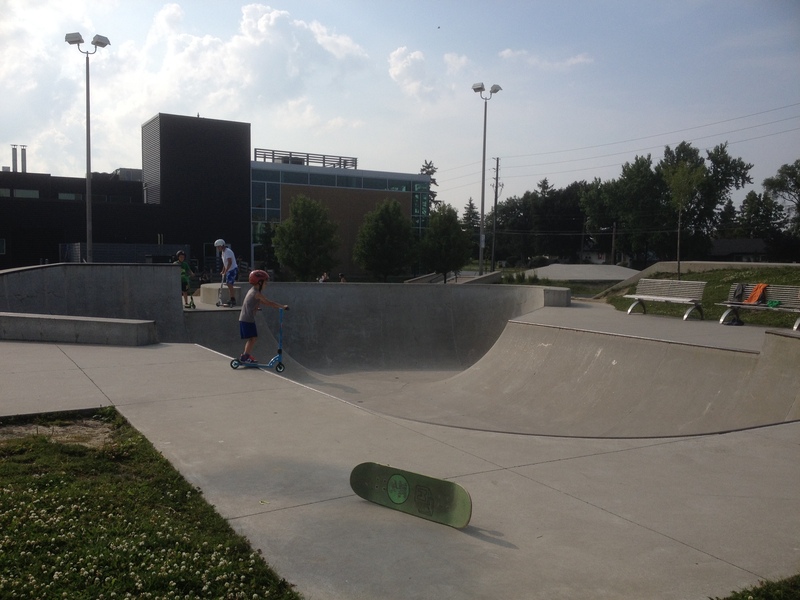 Turner Skateboard Park is an amazing facility located on the Hamilton Mountain. 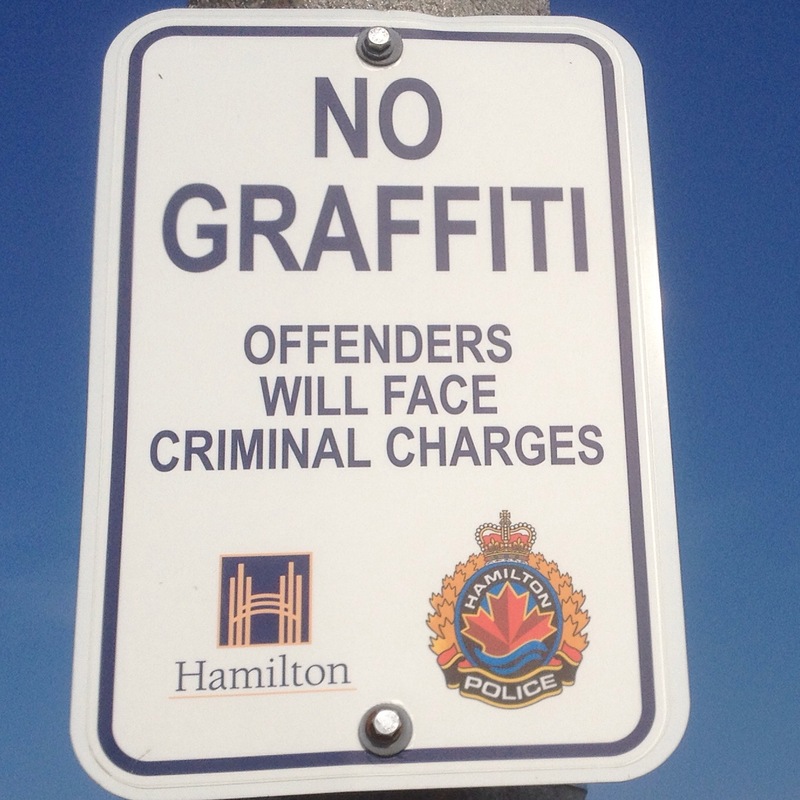 It is one of the only outdoor skateparks that has managed to remain graffiti free. 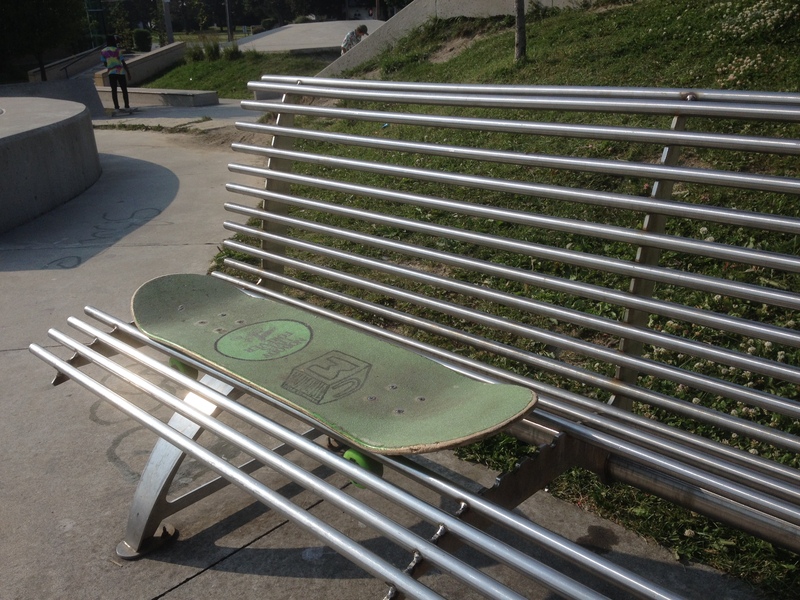 It’s very nice to have a clean, smooth park to skate on. It’s a little thing, but I really appreciate it. 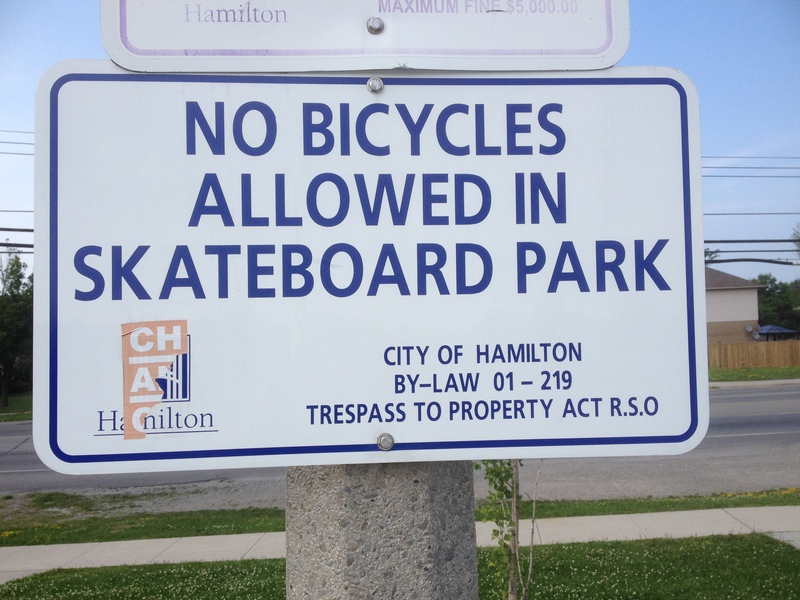 I also love the fact that this park is specifically for skateboarders. 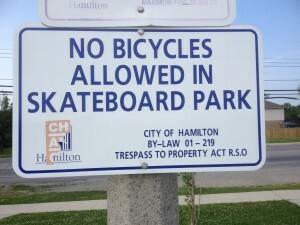 Bicycles are also not allowed. 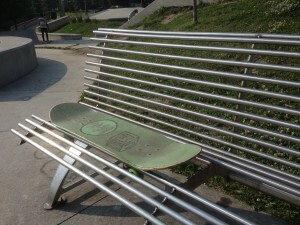 This bench had been vandalized but it was probably done by a skateboard fanatic. One of the locals taught me how to use my board to take a quick break from skating. The bowl is quite nice with different levels to it as well. 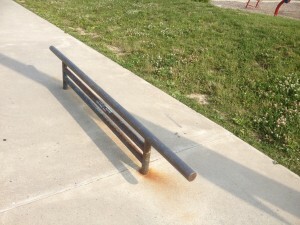 Here is a ledge to get your grind on. And if you don’t like jumping a large staircase . . .
there is a nice starting one here. This rail is a little higher than I would like it to be. But plenty of skaters seemed to be doing all sorts of grinds and slides on it. 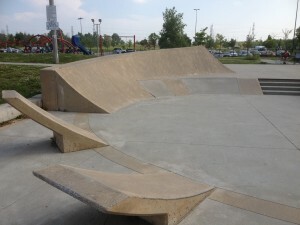 This park seems to cater to skaters who love to go big. These are interesting obstacles to skate. The park is extremely clean and smooth. 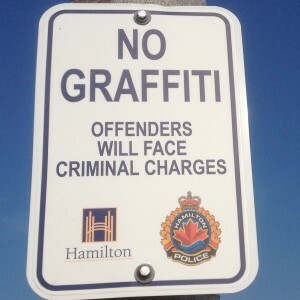 I wonder if it has anything to do with the fact that it is located directly beside a police station. Either way, I’m not complaining at all. It’s nice!